Executive summary: When spirits maker Diageo faced slowing growth in developed economies, it started expanding in emerging markets. It sniffed an opportunity at the bottom of the pyramid in Kenya. Poor people in this East African nation could not afford expensive branded beer and drank illicit, homemade products instead, despite the health risks. This study looks at how Diageo developed a safe, cheap beer to win over this price-sensitive market. Diageo, the world's largest spirits company and one of the major beer and wine producers, has a powerful portfolio of brands and strong distribution networks in many developed markets. By 2004, however, many of these mature markets were becoming saturated. Emerging markets, on the other hand, were growing quickly, and the company saw an opportunity in them. But there were also difficult questions: which market should it target? What were the needs of customers in that market? And how could it deliver the right value proposition to those customers, knowing full well that tackling an emerging market would present challenges that differed greatly from those it faced in the developed world? Africa provided an attractive target. Its population had been growing at more than two per cent per year, and it had an average age of 19.7 years. The middle class was well over 250 million people in 2000, and the number was increasing rapidly. But the continent also presented its fair share of challenges. Many existing products were too expensive for the African middle class. Others, developed for western markets, did not address the specific needs of the African population. The challenge for Diageo was to produce commercial alcoholic beverages that profitably met local needs. To achieve its targeted growth, the company needed to innovate across its entire value network. New products, manufacturing setups and distribution systems, tailored to the specific commercial needs and opportunities of the region, would have to be created. Diageo first had to decide whom it would serve to achieve that growth. The company was producing and selling a beer called Tusker in Kenya at the time through an equal partnership with a local company, East Africa Breweries Ltd (EABL). Tusker and its rivals were sold at prices well out of the reach of most Kenyans. This left a strategic segment underserved: those who drank but for whom branded beer was too expensive. The poor consumed homemade brews sold illegally. These illicit products were often contaminated with methanol, fertilisers or battery acid, and caused blindness and even death. This presented a big opportunity for Diageo. Providing a safe, ultra low-cost beer to compete with illegal supplies could play a crucial role in both resolving alcohol-related health problems and in achieving the targeted growth for Diageo. The company created a new product - a beer called Senator Keg - to tap the approximately 60 per cent of consumers who drank only illegal alcohol. Senator Keg offered potential consumers not only a safe drink but also a stepping-stone to a new, aspirational drinking experience. Diageo had to rethink its entire value chain. It would have been impossible to produce beer at a profit using the company's traditional sourcing, manufacturing, marketing, and distribution mechanisms. So, virtually every part of the network was redesigned to reduce cost. First, Diageo engineered its sourcing and manufacturing operations to significantly reduce the cost of producing Senator Keg beer. Most beers are produced from two primary ingredients - barley and hops - which are combined with yeast and water to induce fermentation. The company chose to source barley from local growers and to produce the beer at its subsidiary, EABL. This took advantage of low labour costs in Africa while minimising transportation and other expenses associated with sourcing from afar. More interestingly, the company developed a process to make beer without the costly and difficult-to-source hops. This drastically reduced the beer's production cost. The pioneering process of brewing a lager from only barley was the world's first, and recognised internationally. Diageo also needed to distribute the product cheaply while keeping it safe. The lack of a formal distribution infrastructure - and even formal retail outlets - forced Diageo to use Kenya's 'shadow economy' to distribute its product. Diageo provided its product to a few dozen distributors, who then distributed it to the tens of thousands of small bars and roadside establishments that make up the drinking scene for some of the country's poorest citizens. The company announced a formalisation process to enable licensing of outlets that previously sold illegal alcohol, making them exclusive Senator Keg outlets. Diageo then trained the staff of its retail outlets - free of charge - how to rotate kegs and wash glasses to maintain freshness and flavour, how to serve and even how to deal with customers who had had too much. This ensured that customers got high-quality beer in hygienic conditions at outlets and prices accessible to them. By using a two-level distribution system, which involved selling to one tier (the distributors) but educating the second tier (the retail outlets) to maintain product quality and safety, Diageo was able to get its product delivered cheaply to a broad market while maintaining control over the customer experience. Finally, Diageo needed to find a way to minimise the cost of packaging. Most beers were served in bottles, which added appreciable cost to a product that was intended to sell for around 10 pence (about six rupees) per serving. A significantly cheaper approach would involve packaging the beer in kegs to eliminate the expense associated with single-serving containers. Diageo also distributed a specially-designed hand pump and plastic hardware along with the kegs to circumvent the need for expensive beer dispensing hardware. Market research done in 2003 by Diageo showed the optimal pricing for Senator Keg needed to be between 20 and 30 Kenyan shillings (Rs 13 to Rs 18) a glass (300 ml). When finally introduced, at 15 to 20 shillings a glass (around Rs 9 to Rs 13) Senator cost a fifth the price of Diageo's mainstream beer, Tusker, and was only slightly more expensive than illegal alcohol. By pricing Senator Keg at this level, Diageo offered consumers a product that was safe, and yet competitive with homemade spirits. Diageo made other significant efforts to reduce the price. 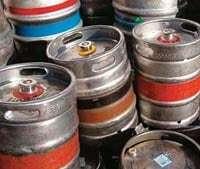 It put forward a proposal to the Kenyan government to reduce taxes on Senator Keg to decrease its price and attract budget drinkers away from illicit brews. The government reduced excise duty on Senator Keg, and later was so happy with the health benefits that it waived the tax altogether. No expensive billboards were used to launch the product. Instead, live shows were held in informal settlements to dispel any misconceptions about the product and recognise the importance of this market segment. There was also substantial focus on point-of-purchase advertising. Innovative and functional offers highly relevant to the target consumer, like solar-powered mobile chargers, were used for promotion. Senator Keg has proved an enormous success by any measure. Since its launch, the brand has gained 40 per cent of the Kenyan beer market, and EABL dominates the country with a 97 per cent share. More broadly, emerging markets now contribute nearly 40 per cent of Diageo's net sales (Pound 10.76 billion in 2012), up from 20 per cent in 2005. Africa alone contributes 14 per cent of Diageo's revenue. The company expects emerging markets to make up half of its net sales by 2015. At first glance, I wonder if the Kenyan low-end beer market with its limited average income and complicated distribution model appeared attractive to the Diageo top management. This case, however, demonstrates how understanding customer needs and delivering on these throughout the value chain created a roaring success. But it took guts, determination and maybe even humility from the company. Instead of copying business models from developed markets, Diageo re-invented its entire value chain. The Senator Keg distribution system, the training of the staff of the retail outlets on how to wash glasses to secure intended product quality are examples of the company's true differentiators. Senator Keg also answered an unmet need: a safe, affordable beer to lure users away from illicit brews. I guess it is unusual to get tax benefits from the government based on health benefits of alcohol. The promotional activities also were fuelled by consumer insights. Senator Keg drinkers were actively participating in the brand experience by deciding on label design and enjoying live shows arranged by the brand. If you get in the heart of your customers, you build a reservoir of trust and liking. This leads to brand preference, sales, and the likelihood of being forgiven in the case of a breakdown or occasional failures. Even the best strategies can be copied. But excellent execution is the gem of any company. There is every reason to believe in the future success of Senator Keg. The target group is part of a growing economy; the brand is aspirational and close to the consumers. But Diageo must never stop investigating customer needs and must adapt its value chain accordingly. Real insight drives business results. My friend, the late C.K. Prahalad, was responsible for introducing the concept of the bottom of the pyramid (BOP) in boardrooms of leading global companies. 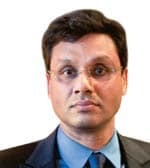 Inspired by Hindustan Unilever, he saw a huge opportunity to re-imagine products from multinational corporations (MNCs) for people who needed, but could not afford, them. Since his demise, Vijay Govindarajan (with Reverse Innovation) and I (with India Inside) have been working within this tradition of strategy research. We have become advocates of looking at emerging economies not just as markets but also as sources of innovation. Senator Keg is an excellent example of an MNC innovating for the BOP. Providing a safe replacement for the home brew required not only developing a new product, but an entirely new delivery concept. The best BOP examples re-imagine the entire value network, not simply the products. More interestingly, Diageo convinced important stakeholders of the benefits, which led to a tax waiver on excise duties. The Kenyan government was not collecting anything from the home brews. By converting these transactions into the accounted commercial sector, there will be enough opportunities later to consider imposing a small duty. Often companies are hesitant to introduce lower-priced products because of the fear of cannibalisation. What makes Senator Keg so interesting is that Diageo positioned it to an entirely new segment. However, for Diageo, Senator Keg will be a truly resounding success only if this idea can be taken from Kenya to other markets. Income-constrained aspirational consumers exist in large parts of the world, if not everywhere. What lessons do we learn from Diageo's success in Kenya? Write to us at btcasestudies@intoday.com or post your comments here. The best comment will win a copy of the book 'India Inside'. Previous case studies are at www.businesstoday.in/casestudy.